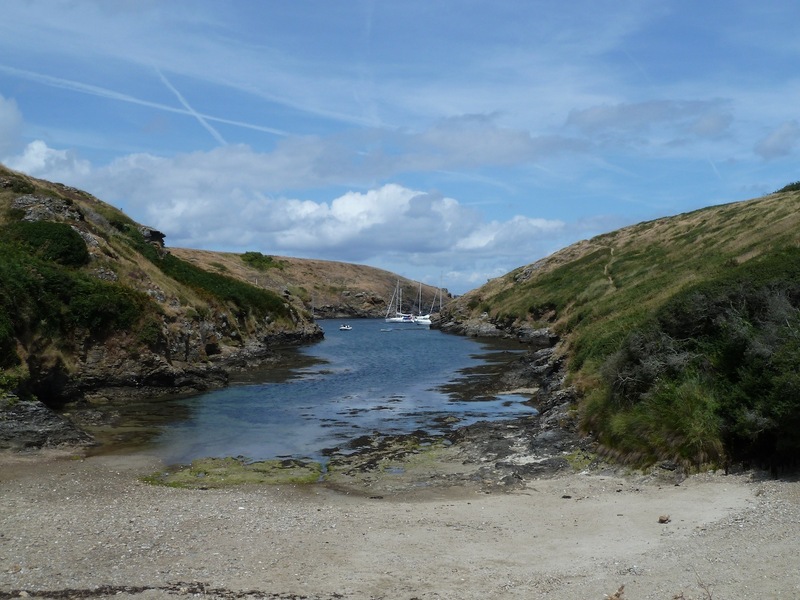 Situated off the Gulf of Morbihan and located 15 km (approximately 9 miles) from Quiberon, Belle-Ile (beautiful island in French), has many assets. Come and enjoy its 82 km (51 miles) of coastal paths, its wild and varied coast, its beaches and its countryside. Its welcoming inhabitants, delicious local products, sunny weather and preserved beauty make it a unique place. Our guest-house “Veillées des iles” ( The islands’ evening meeting-place) is only a few steps away from the port of arrival, the market-place, the car, bicycle, scooter rental shops, and all kinds of tasteful and pretty shops. Ideally situated, our guest-house offers quietness, comfort and mobility, without having to ferry your car over. 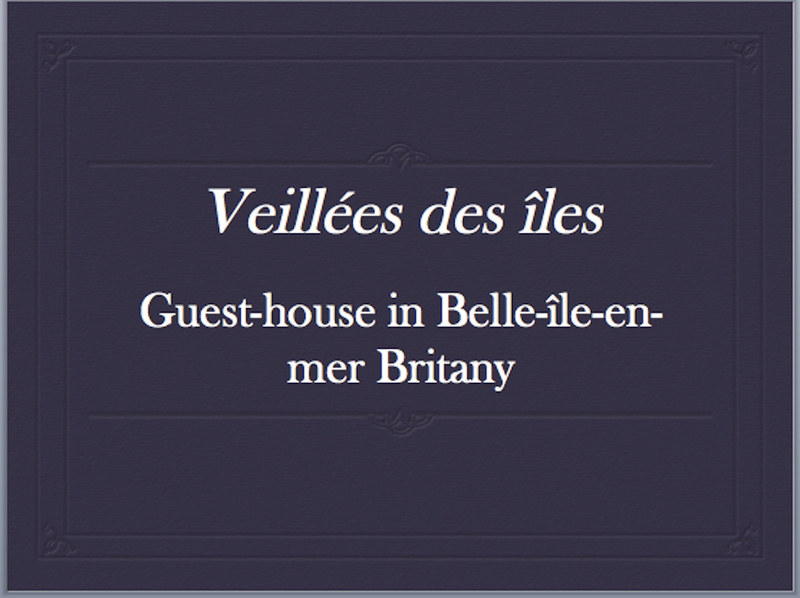 Our guest-house welcomes you to three charming guest-rooms. Each one has a lounge, a private bathroom and a toilet. On the ground-floor, a free lounge is at your disposal with as much tea, coffee and herbal tea as you like. You can also choose to enjoy the inner courtyard or the “perched” garden with its nice view of the city rooftops. The home-made breakfast is composed of organic or local products and is included in the price of the room. Salomé : 95€ per night. La dame aux camélias : 115 € per night. Obéron : 115 € per night. We cannot add extra beds to the bedrooms. We would like to draw your attention to the fact that, to our deep regret, this house on several floors and its “perched” garden are not suitable for persons with reduced mobility and for children. We apologize for that. Make sure to check your contact and email address in order to ensure that we will be able to contact you properly. We will reply on the same day.